iLoveToCreate Blog: Winner of Custom Dye Color Kit Announced! Winner of Custom Dye Color Kit Announced! Congratulations are in order to blogger Arlene of Altered By Me. She won the Custom Dye Color Kit contest here on our blog! "I love to create mixed media + altered art using paper and fabrics. 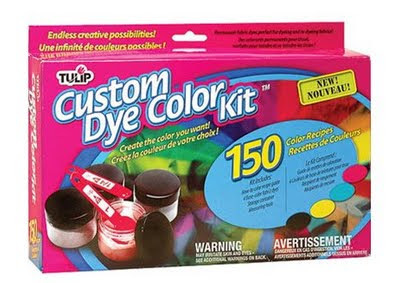 The ILoveToCreate product I love the most is the tie dye kits. My daughter got one for Christmas and we had a blast with it." Thanks Arlene for participating and thanks to all who left us a comment and shared in the iLoveToCreate love! If you are dyeing (yes, we meant the pun) to get your hands on one of these kits, you can purchase one straight through our web site. Click here for more info! We are always having fun contests in the works! So check back shortly and we'll be offering up some more fun stuff to win! Congratulations Arlene of Altered By Me!! !